You hear about credit card fraud affecting individuals, but you don’t often think about the small businesses affected by it. According to the Australian Bureau of Statistics, the cost of credit card fraud in Australia was $2.1 billion in 2014-15. That was more than double the cost in 2010-11. This is broadly in line with global rates, as the sheer number of credit card transactions processed by businesses continues to skyrocket. In fact, according to the Reserve Bank of Australia’s latest numbers on payments we’ve hit something of a tipping point. In 2016 the proportion of overall transactions using a debit, credit or charge card hit over 50 percent for the first time [PDF]. That means for the average business, there are now more credit card transactions than ever before – and that means more opportunity for fraudulent credit card transactions. Instances of credit card fraud remain a very small percentage of all transactions, but the effect on small businesses can be disproportionate. For example, a fraudulent charge of $1000 at a major department store might be a blip on the radar, but for a small boutique could make or break a week. 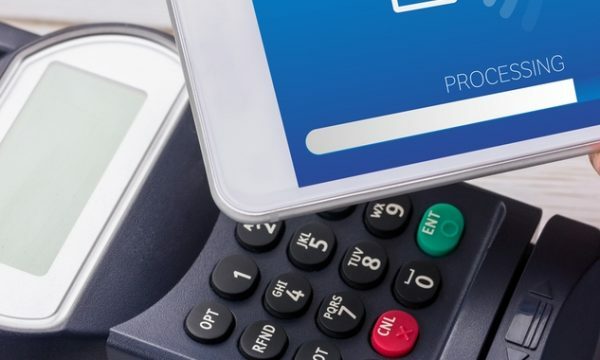 Businesses are liable for chargebacks, which makes spotting instances of potential credit card fraud early absolutely vital for small businesses. Here are some tips for protecting yourself against credit card fraud. The easiest way to spot potentially fraudulent credit card orders is to review your orders for something which is out of step. An abnormally large order from a new customer. Next-day or expedited shipping on unusually large orders or high-priced goods. Several orders from different customers that are all shipped to the same address. Orders that are shipped to an address other than the billing address. Customers who cannot answer all your billing questions (home or mobile phone numbers or information that only appears on the card itself). Orders paid by multiple credit cards (thieves don’t want to exceed the credit card limit). Orders from people that ask you to pay for freight and then promise they’ll reimburse you. Be cautious of companies that use a free email address (Yahoo or Gmail). Tracking them is almost impossible. While none of these is a guarantee of credit card fraud, they can provide the basis for further enquiry and action. It’s important to have an action plan in place in case you suspect an order is fraudulent. 1. Verify the shipping address and phone number are correct by using an online directory. 2. Call the customer and verify their information before you ship. Ask for complete names, address, post code and phone number as they appear on the order. 3. If you can’t get a hold of the customer, validate the information, or if you’re still suspicious of the order then simply cancel it. Trust your initial reaction – if something doesn’t feel right, do everything possible to verify the information. Spending time on preventing credit card fraud will save you time – and money – in the long run. Subscribe to the ACCC’s Scamwatch email alerts at http://www.scamwatch.gov.au/, and report instances of online credit card fraud to the Australian Cybercrime Online Reporting Network.